Combining Cheese x Juanita la Lagrimosa x Ruderalis, Fast Eddy is a rapid growing, flavourful, and CBD-rich auto strain that we have bred with a lot of love and care. Expect her to go from seed to harvest in 8-9 weeks, produce generous yields, and induce a clear, mellow, and most importantly, functional high. Juanita la Lagrimosa is an exotic strain of cannabis well known for her soothing high and significant CBD content. By combining her star quality genetics with those of the pungent and flavourful Cheese (plus a bit of ruderalis), Royal Queen Seeds has created an irresistible blend of connoisseur-level flavour and a reliable relaxing high that offers both mellow tones and functionality. Being automatic, Fast Eddy rockets into life, both indoors and out. When grown indoors, expect her to reach up heights between 60-100cm, going from seed to harvest in as little as 8-9 weeks. She is relatively easy to look after, and can produce yields of up to 450g/m² if grown under optimal conditions. Outdoors Fast Eddy reaches slightly taller heights, ranging between 80-120cm. She will soak up the sun, still finishing in 8-9 weeks and producing between 80-130g per plant under optimal conditions. 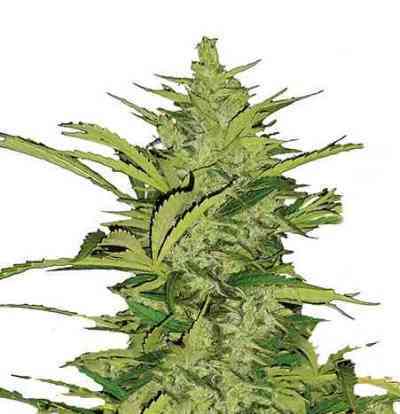 Fast Eddy produces a very pungent citrusy skunk aroma and taste, inducing a clear and comfortable buzz when smoked. It makes for a great daytime smoke - when you don’t want anything too heavy, and you have stuff to get done. This light and functional high also offers a good degree of pain relief, making her a worthwhile choice for anyone looking to alleviate it. Fast Eddy has a 9% THC content combined with a high CBD content. If you are looking for a light, flavourful, and enjoyable strain to work with, and want it with a lightning-quick turnaround, Fast Eddy has what you need.